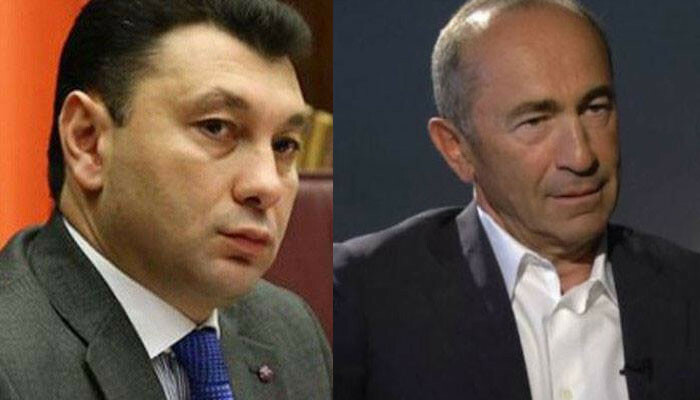 Eduard Sharmazanov: "Robert Kocharyan is accused of absurd charges"
Ex deputy of the National Assembly and press-secretary of Republican Party Eduard Sharmazanov wrote on his Facebook page. "Yesterday younger Aliyev announced again that Artsakh conflict must be solved only through territorial integrity of Azerbaijan. Moreover, he mentioned that Azerbaijanis have advantages not only in negotiations but in battle field as well. Armenian government brings absurd charges against Robert Kocharyan, the hero of Artsakh on the background of Aliyev’s anti Armenian statements instead of trying to create an atmosphere of peace and unity. This is a impermissible and dangerous activity that doesn’t come from benefit of both Armenians and, particularly Artsakh Armenians. P.S. The first president of Artsakh and the second president of Armenia is under arrest, it's shameful."